California! was a new collaboration between the Game Innovation Lab and Dr. William Deverell, Chair of the USC Department of History. 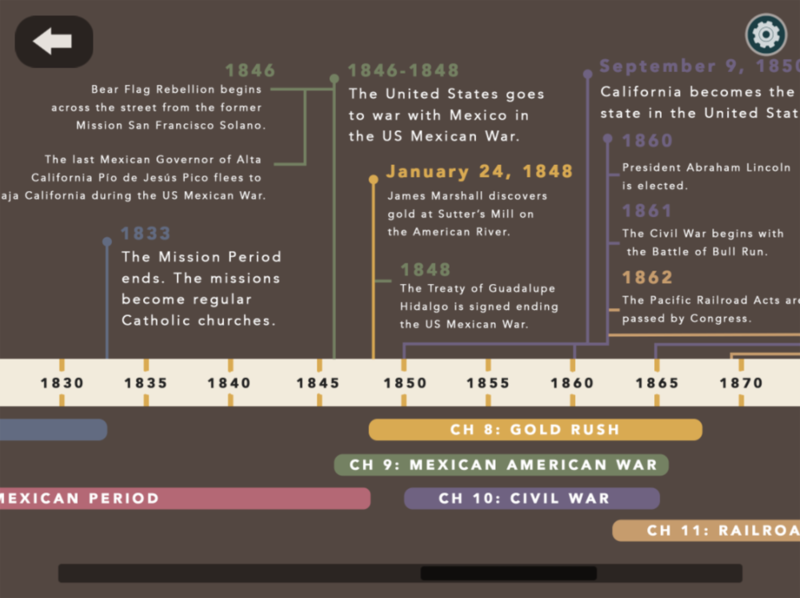 The goal of the project was to build a prototype of a new kind of textbook for 5th grade Common Core History. In this prototype, students meet Caleb, a 10-year-old representing what it was like to participate in the California Gold Rush. The project includes the interactive “adventures” that Caleb and his family go through on their way to and at the gold fields. There are letters home and a library of images and maps for students to explore. 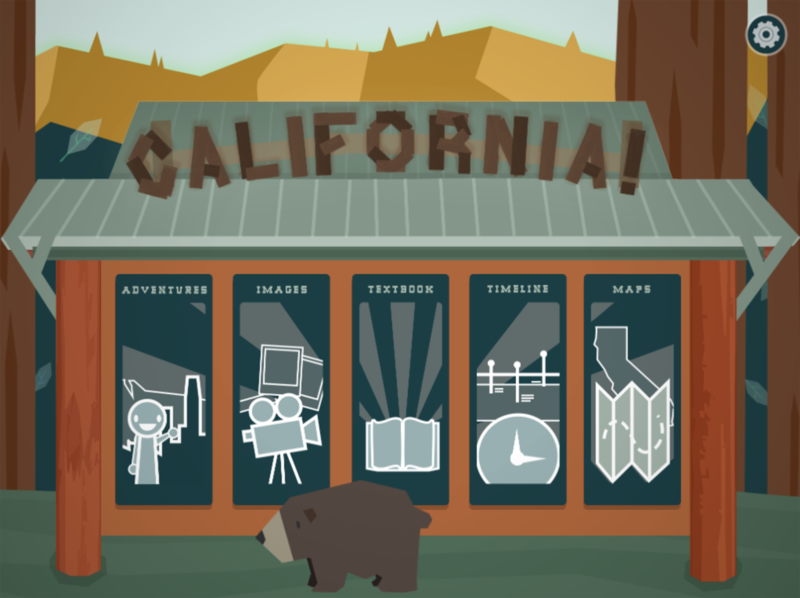 Of course, there are also textbook chapters, covering the Common Core standards, but the real innovation in this tablet-based project lies in the way that it brings California history to life by relating it to how 10-year-olds lived in each of the critical eras in the development of the state. A team of game designers at the lab worked to develop and iterate the underlying design so that classroom use would align with the desired learning goals. The team also included our partners at the USC History Department, middle school teachers and students. This is a seed project, and the Lab is seeking follow-on funding for the full experience.